Federal Reserve Chairman Jerome Powell says the central bank has the ability to be "patient" in determining when to hike interest rates. Federal Reserve Chairman Jerome Powell says the central bank will be "patient and flexible" in determining when to hike interest rates. 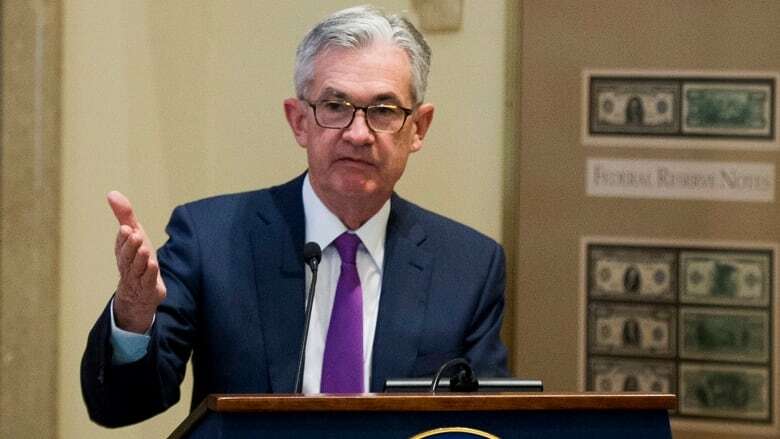 Speaking to an audience in Washington, Powell delivered a message of relief to stock market investors who have seen volatile swings up and down since last month, when the central bank raised the top end of its benchmark interest rate to 2.5 per cent. Powell reiterated the Fed's message that while the bank expects rates will go slightly higher in the long run, it will not be sudden, or any more than the underlying economy can handle. "There is no preset path for rate hikes," he said. Before those comments, investors had been sending stocks lower out of fears that the Fed would make a mistake and tighten credit too much, possibly sending the economy into a recession. But Powell soothed those fears with a message that the course for rates is not predetermined, and also that the underlying economy is performing just fine below the surface. "We are in a place where we can be patient and flexible," Powell said. Powell was asked by David Rubenstein, a founder of the Carlyle Group where Powell worked for nearly a decade before joining the central bank, if criticisms from U.S. President Donald Trump were having any impact on Fed decisions. "No," was his short reply. He also noted that the current U.S. government shutdown has not yet had a large impact on the economy "in the aggregate" — but that could change if it drags on. "If we have a longer shutdown I think that would show up in the data pretty clearly," Powell said.